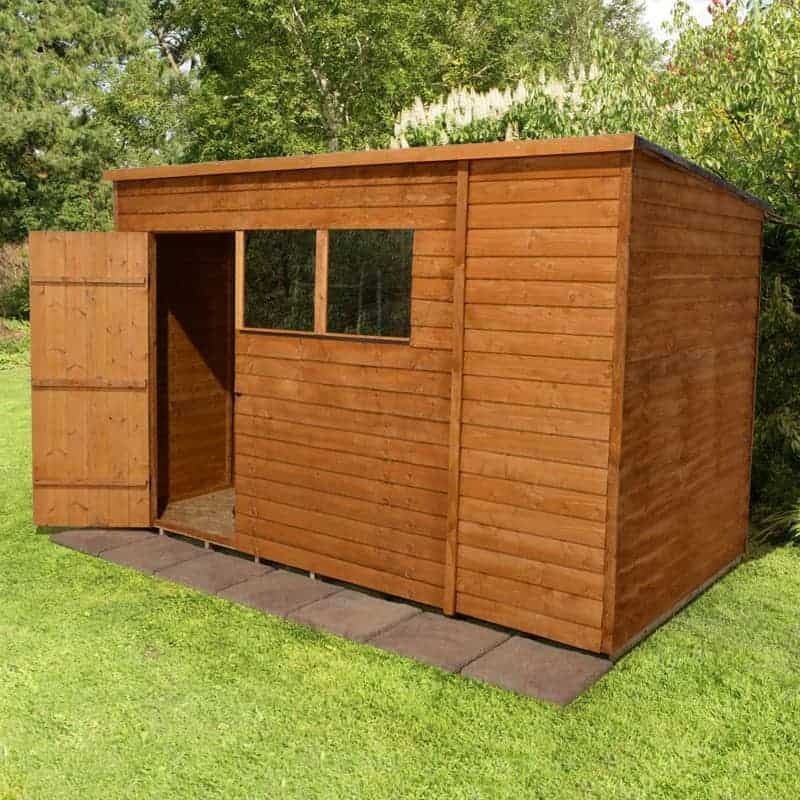 This is a smart looking wooden shed with a flat, pent style roof. 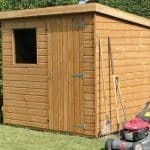 It has a large front door and two fixed styrene windows so there is plenty of interior light. 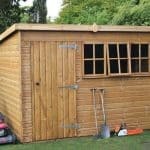 The wood is dip treated 8mm overlap and is built to last with a 10 year anti rot guarantee. 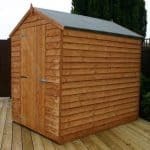 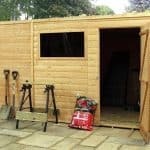 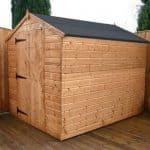 This good sized shed is ideal to store all of your garden equipment, garden furniture and children’s toys and yet still looks good in any outdoor space. 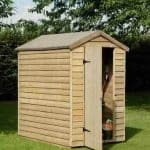 This product is home delilvered.